This Crew Neck T-Shirt is made from 100% Supima Cotton. Our Collection at Boxers and Briefs contain only the highest quality Lacoste Mens Underwear. 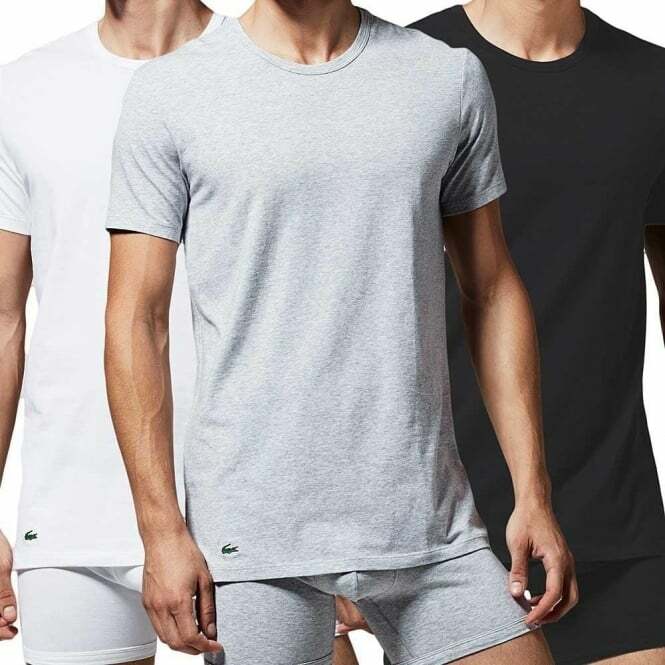 We have available in the Lacoste Essentials Supima Cotton 3 Pack range we have the Crew-Neck T-Shirt in a Black/Grey/White Lacoste Essentials Supima Cotton 3-Pack Crew Neck T-Shirt, these range from size Small to Extra Large.